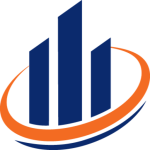 SVN is a National Commercial Real Estate Brokerage Firm founded in Irvine, California in 1987. The SVN organization if comprised of over 1,500 commercial real estate Advisors and staff serving 500+ markets. In addition to traditional Investment Sales Brokerage, SVN Imperial Realty is active in the Sales and Leasing of Retail, Office, Industrial and Multifamily products. Our office has experienced rapid growth in recent years. SVN Imperial Realty is seeking to enhance its diverse team of Advisors with both new recruits and seasoned veterans who are tenacious self-starters, self-motivated to succeed, and able to build and maintain relationships. SVN Imperial Realty maintains a professional workplace. Appropriate attire and demeanor are required.